Posted January 17, 2017: In the upcoming months the IRS will start issuing and sending tax refunds to millions of Americans. This is also the time when most tax scams occur. Despite the repeated warning against phishing attacks, many individuals fall victim of this practice. 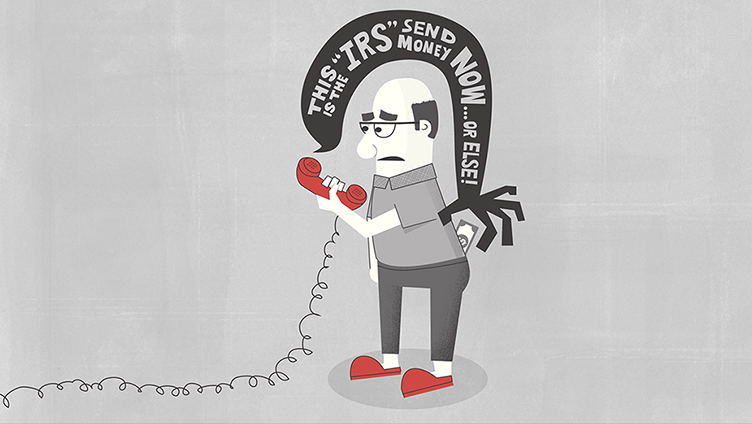 The IRS reminds individuals that it does not initiate contact by phone or email. You may receive a letter from the IRS stating the reason for the communication and the steps that you should take, but it should never come to you as a surprise. Impostors will call you and present a reason for calling. They may sound very professional and take time to establish some trust. Eventually at some point they will say you owe the IRS money and that you have to make a payment. A common dead-giveaway that you’re dealing with crooks is that they insist you make a payment immediately and will threaten you with a warrant for your arrest. This is an absolute red flag because this is not how the IRS conducts its business; you can’t be imprisoned for owing taxes. Even if you owe money, you always have some opportunity to come to a payment agreement and typically a confirmation of it will come on paper. The impostors will also try to convince you to go and buy a debit card and provide them the card numbers. Remember that even if you agree to payment terms and conditions with the IRS they do not need a payment immediately. Get the caller’s name and employee id number. Verify whether or not the IRS has a reason to talk to you by calling 1-800-366-4484. If the person on the phone is telling you that there is a police on the way to arrest you but they can stop them if you agree to make the payment right at that moment – it’s a scam! Thanks to the Internet we can better equip ourselves in dealing with suspicious phone calls. Below are couple of links to YouTube videos that recorded scammers trying to trick people. – In this video the scammer even engages in conversation with the police. – In this phone call the scammers explain how their tricks work. – In this video the scammers speaks to a legal licensed attorney. Here the scammer is asking for a MoneyGram. In this video the alleged IRS agent left a message and the person is calling back. Note that the number dialed is not even an 800 number. All the examples above can prepare you how to handle a potential phishing attempt. The bottom line is, the IRS will NEVER call to demand a payment. Their first notification will always come through the mail.